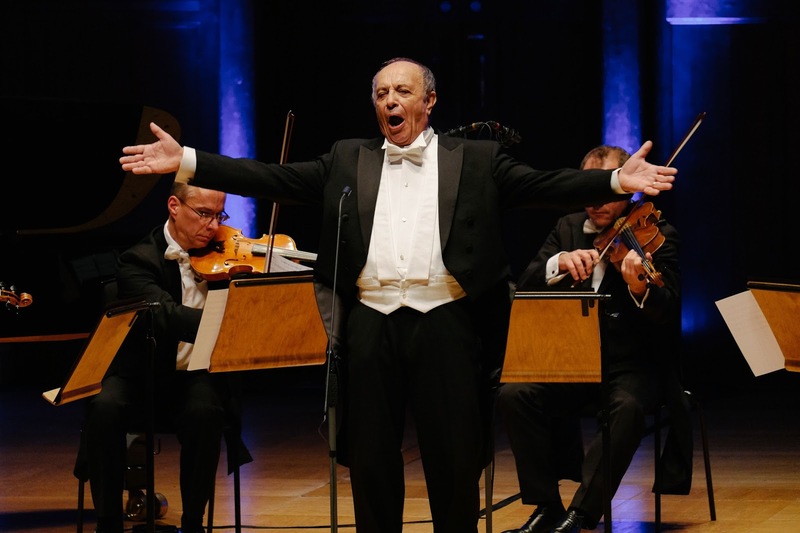 Leo Nucci and the Italian Chamber Ensemble in recital at the Cadogan Hall on 13 October 2015 for Rosenblatt Recitals; there is no doubt that baritone Leo Nucci is still in full command of his vocal powers at the age of 73; he demonstrated his incredible stamina and gave us a masterclass in how to produce an impressive 'squillo'. This Rosenblatt celebrity recital demonstrated the powerful voice to its full extent in a programme of bel canto arias by Bellini, Donizetti and Rossini, songs and arias by Verdi and arrangements for string quartet, piano and harp by the Italian Chamber Ensemble's pianist, Paolo Marcarini. Nucci started with Donizetti: 'Di tua beltade immagine' from Poliuto. No small-scale pieces to warm his voice up gently and establish a rapport with the audience. Though the character is called Severo, he was singing a love song, but we could be forgiven for not realising this. 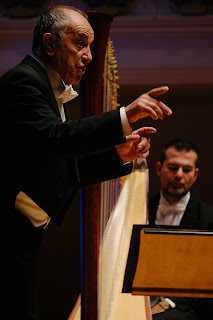 He continued in much the same vein for a further two arias before going off stage – clearly not to recuperate, but to give way to the Italian Chamber Ensemble showcasing the muscular and virtuosic harp playing of Davide Burani in 'Donizetti's heroines' (Norina, Anna Bolena and Lucia). Back on the platform, Nucci continued in declamatory style for three Verdi numbers: appropriately (one could argue) for Macbeth's final aria but less so for the two songs 'Non t'accostare all'urna' and 'L'esule' which needed to be much more varied dynamically to match the words. I was grateful to the string players for fattening out the sound of the voice which, throughout the evening, showed no signs of letting up. Nucci's style is very much of its time and is witness to a phenomenal technique that has served him well for so many years. We had a strong sense they don't make baritones like that any more. We had some stonking top notes, a good line with crystal-clear diction and agility that is still more or less intact. But by the end of the official programme we craved a bit of light and shade – and above all a bit of eye contact from him. For that we had to wait for the encores. Having secured a rapturous standing ovation, he seemed to relax somewhat. First came the 'Largo al factotum' – he looked at us, played with us, smiled and gave us a break from the fortissimo. And naturally this was much more enjoyable, including for the Ensemble who were caught off guard. Two more Verdi warhorses next: Posa's final aria from Don Carlo and 'Eri tu' from Ballo. Intimate and touching. 'Non ti scordar di me' was strictly for the audience who were invited to sing along (and many did). And finally, Rigoletto's 'Cortigiani, vil razza', nuanced and by far the most moving number of the evening. He had saved the best until last.